Seattle’s own Madison Valley Neighborhood is celebrating it’s very first Bastille Day on July 14th from 3-8pm. This festival of gourmet food, wine and entertainment, will take place on East Madison Street from 27th to 29th Avenue. Tickets for food and wine will be sold at the event along East Madison Street. 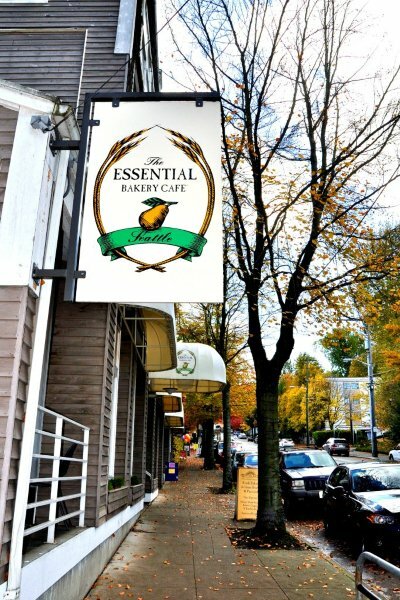 Our Essential Baking Company Madison Cafe will be offering a special menu that can be purchased with your event tickets. See the Madison Valley Website for more details. Also see Bastille Bash on Facebook. Bastille Day, known as La Fête Nationale (The National Celebration) in France, is the day the French reclaimed their prison, Bastille, from the stronghold of Louis XVI. Proceeds from this event will benefit the Children’s Response Center, a local nonprofit that provides legal and counseling services to children under 18 in east and north King County, who have experienced severe abuse. ½ Grilled Cheese Sandwich with Vermont White Cheddar or Yellow Cheddar on Columbia bread and a Cup of Soup. Our regular menu is also available. We hope to see you there!